MY QUESTION ABOUT TAX GRABS last week brought a lot of helpful responses. I suggested that the federal government’s carbon tax didn’t qualify — others disagreed. The most common definition of a tax grab favoured by those who responded seems to be that any time a government takes our money and doesn’t use it for the purpose for which it was intended, that’s a tax grab. I did mention in the editorial that governments often waste or misuse tax dollars. The $8-million temporary skating rink in front of the Parliament Buildings during Canada 150 would be but one example. Then there are tax giveaways, in which recipients benefit from our collective, though unwilling, largesse. The federal Liberals have now provided a timely example. In a truly astounding act of generosity, the Liberals announced with some fanfare a $12-million gift to food-store giant Loblaws for energy efficient refrigerator upgrades. We don’t see the Loblaws brand on super markets in our neck of the woods, but they’re a huge player elsewhere. In fact, Loblaws was involved in the bread pricing controversy last year. Given the track record of the Liberals lately, one would think this government would be a little more careful about such things. By all accounts, Loblaws is hardly struggling and hardly in need of a public subsidy — it had net earnings of about $800 million last year. Green initiatives are a good thing but there are many places that $12 million could have been better spent, preferably directed towards average folks instead of wealthy corporations. Maybe something like a further boost to rebates for the purchase of hybrid or all-electric vehicles, which would be good for people, business, and the environment. Let big corporations buy their own refrigerators. It’s true we don’t see Loblaws branding here, but SuperStore and Independent Grocer are direct subsidiaries. I agree — they don’t need taxpayer subsidies. It is hard to see the refrigerator upgrade be a singular giveaway. Was it part of a broader government mandate? Was the perceived giveaway available to anyone who applied? I mean I get it it all seems crazy giving public money to private, profitable companies but there is got to be more to the story. On the other hand, is government giving into corporate interests a totally new and untested thing? Tax cuts anyone? Speaking of tax grabs. 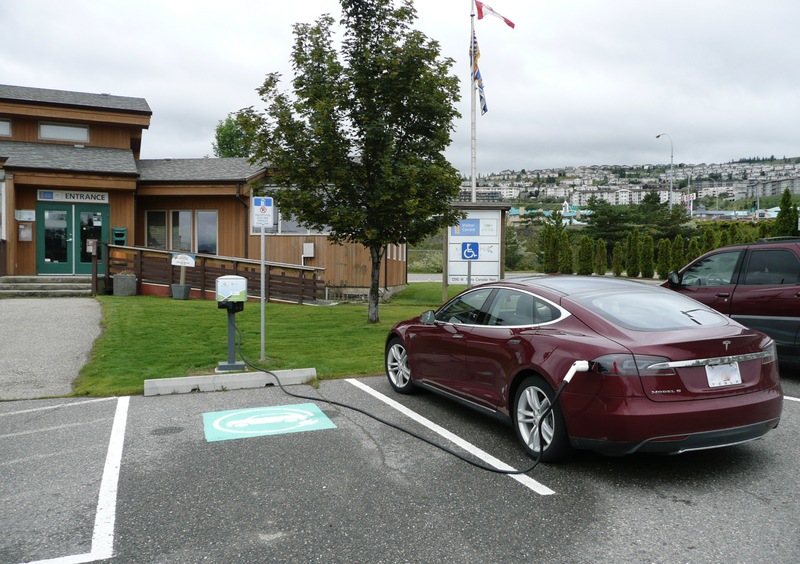 The provincial luxury tax on electric cars is one- your Tesla picture reminded me! The only really viable cars for all transportation (because of range and charging station network) are indeed Tesla’s, but almost all of them fall into the luxury tax category which is a huge tax grab on top of an already expensive car. At least in our case, we don’t care about luxury, we just want to be able to retire IC vehicles from our life! Adding extra tax to the total (up to 10% PST) is a disincentive.